I am so excited to share with you these wedding photos of our close friends Josh and Heidi. They are a wonderful couple and their wedding photos are absolutely beautiful! Thank you Jules for giving permission to me to post some photos here (I said I'd post one but I couldn't choose just one so i posted 3). 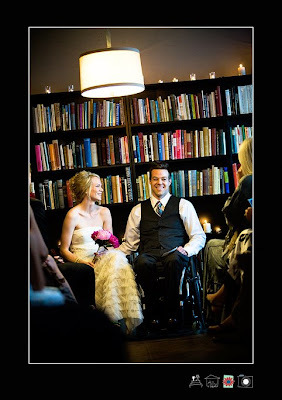 For more photos of Josh and Heidi's wedding, go to Jules Blog here. Aside from the lovely couple and wedding, the cake is one of a kind - check it out! The photos are gorgeous! I think Jules is the greatest wedding photographer - i feel like i want to get married again (yes, same husband) just to get photographed by her :). thank YOU, Liza, for the kind shout out!! They are one of THE most beautiful couples I have ever seen....the pictures are beautiful, but they must be incredible people!!! 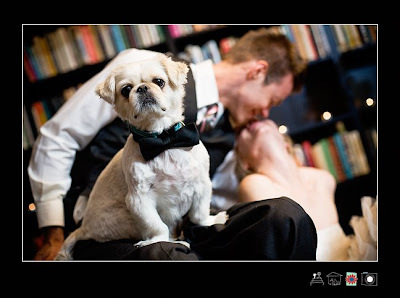 What a cute ring bearer! And I have never seen a bride with green shoes. It looks cool! Very sweet pictures Liza. I am certain they reflect a tender moment. Beautiful pictures of the wedding couple and Hero the Ring Bearer! Thanks for sharing! Happy WW! WOW great pictures. I love the little ring bearer! 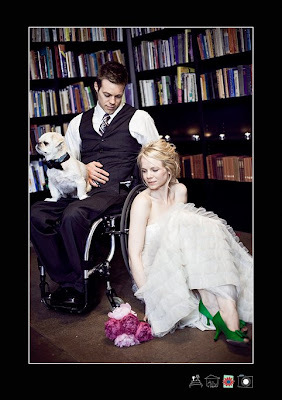 Stunning photos, gorgeous couple, adorable ring-bearer and those shoes....wow!! These are beautiful! Congratulations to your friends! Amazing photos!! Thanks so much for sharing these inspiring shots.